Welcome to Presidential Suites Aztec NM. Former Microtel Inn and Suites. 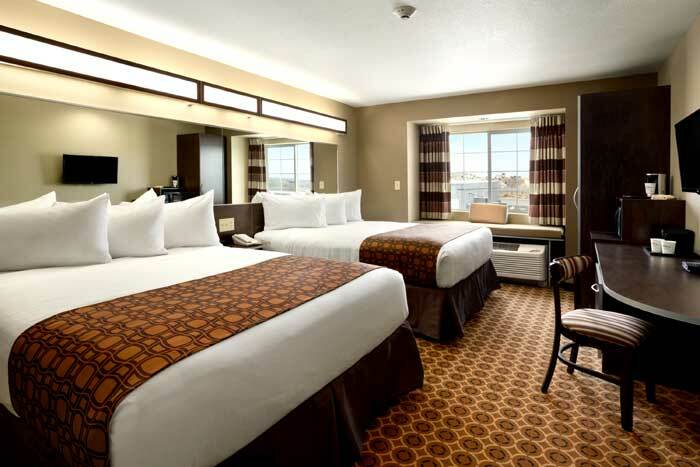 A convenient, comfortable stay is yours at our Presidential Inn & Suites Aztec, NM hotel. 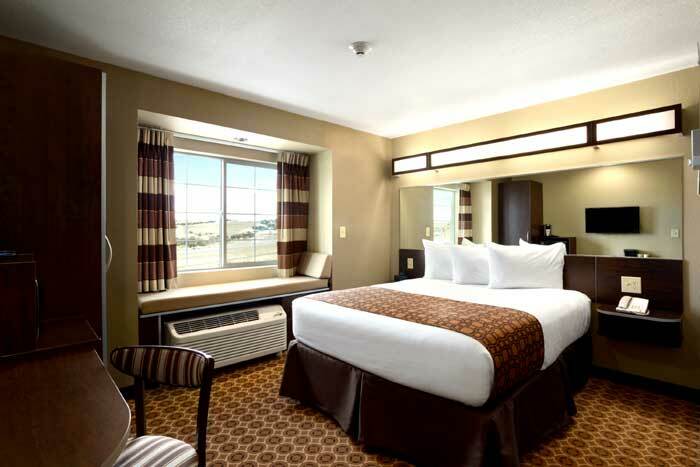 Our 100% non-smoking hotel on the beautiful high plains of New Mexico is just a short trip from Four Corners Regional Airport in Farmington, the Four Corners Monument and the area’s canyons, crystal-clear lakes and cultural and recreational attractions. 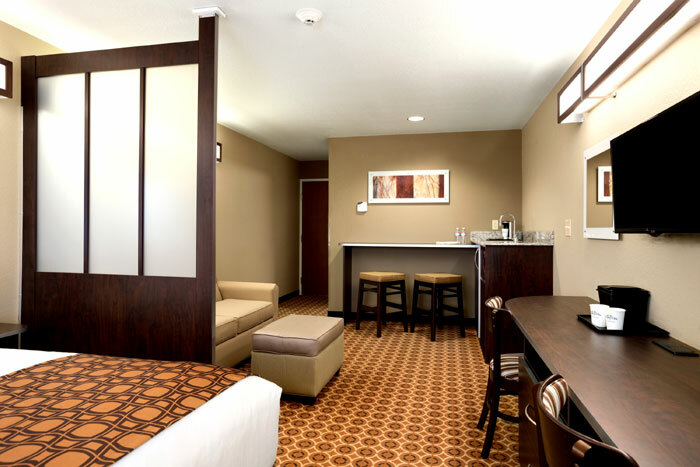 You'll enjoy free Wi-Fi Internet and free U.S. phone calls at our dog-friendly Aztec hotel, as well as our free Hot and Hearty breakfast, that includes eggs, gravy and bacon, ham, or sausage. 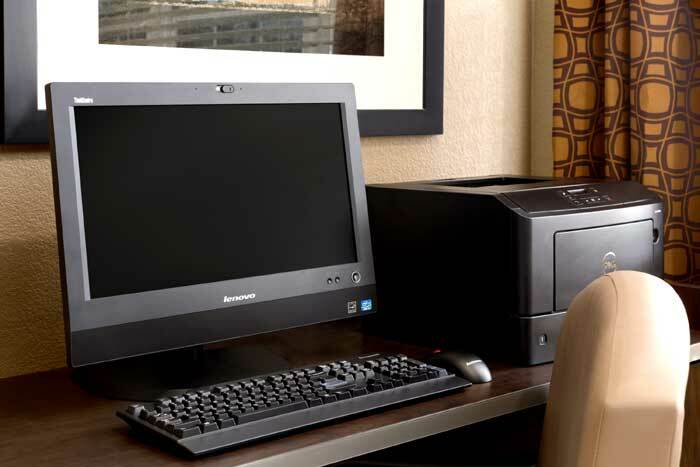 Our hotel features a microwave, refrigerator and flat-screen TV in all rooms, a laundry facility, meeting room and business center, and parking for all types of vehicles. 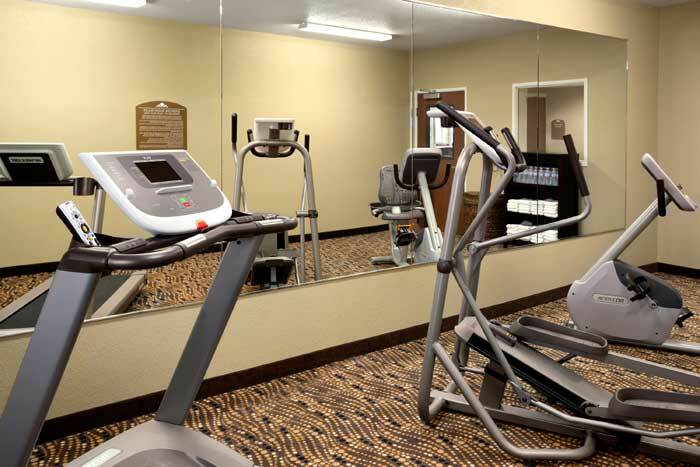 At day’s end, work out in our fitness center, relax in our outdoor pool and jetted tub, and enjoy the crisp evening air by warmth our fire pit. Catch the dirt-track races at the Aztec Speedway, just steps from our Aztec, NM hotel. Just minutes away, explore the 900-year-old dwellings at the Aztec Ruins. Enjoy the fishing, hiking and sky-blue waters at Navajo Lake, an hour’s drive from our hotel, and the striking rock formations of Chaco Canyon, two hours away. 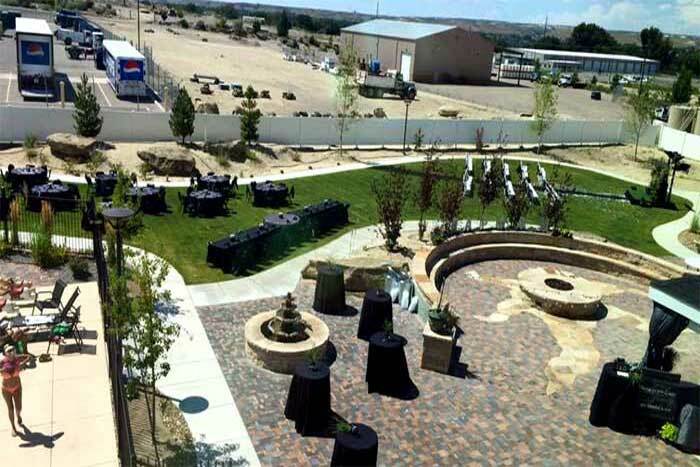 For local nightlife visit Sunray Casino, just a 20-minute drive from our hotel, or stand at the intersection of four states at the Four Corners Monument, an hour and a half away. Try Four Corners standout Thai Basil, just minutes away, for the best Thai food for miles. The pastries are fresh and flaky at nearby Brown Bag Bakery, which also has a selection of sandwiches and soups. Grab an icy root-beer float and juicy burger at longtime institution A&W All-American Food, just a short drive from our Aztec hotel. Worth the short drive north is Burritos Y Mas, which serves spicy, authentic local dishes. 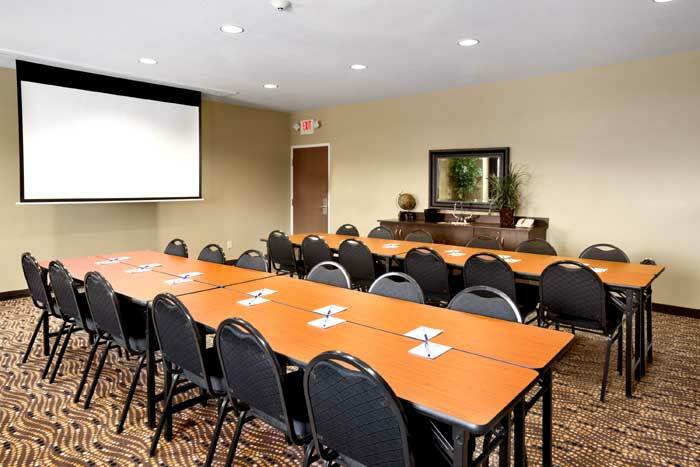 Hold your next event or banquet in our spacious meeting room. We offer printing, free Wi-Fi Internet in our meeting room and public areas, and access to computers and a film projector. We also do Outside Weddings with complete setup. Best hotel near Farmington New Mexico. Where the Southwest, meets the Rockies.The best place to stay during your southwest adventure. This is our second annual Aztec Artist Studio Tour. Several Aztec artists have invited other local artists to their studios and invite all of you to enjoy their works. There will be food, fun and beautiful things for you to purchase. Wild West Modified Tour opening weekend will be Friday & Saturday, May 3rd & 4th at Aztec Speedway in Aztec, New Mexico. Farmington Museum at Gateway Park in Farmington, NM. The final Farmington Growers Market Vendor Training for 2019 will be held on Friday May 17th from 2:30-4:30 at the Farmington Museum. Activities : Aztec, New Mexico's lands are diverse, encompassing high deserts, National Monuments and National Conservation Lands. Enjoy the boundless opportunities such as hiking, hunting, fishing, camping, horseback riding, and much more! Airport : Welcome to the Four Corners Regional Airport (KFMN) serving a regional population of well over 100,000 with service to travelers from four states. With two runways, full time Aircraft Rescue and Fire Fighting (ARFF) and an Air Traffic Control (ATC) tower the Four Corners Regional Airport is the logical choice for flying into the Four Corners region. Attractions : Explorers, rustlers, homesteaders, wildcatters, railroaders... Aztec's effervescent history epitomizes the Great American West. Today, we are a community rich in multi-cultural heritage, civic pride and ancestral traditions. Casinos : Here at Northern Edge, winning IS everything! So join all the fun and feel the excitement in every roll of the dice, flip of the cards and spin of the wheel. From slots to table games and even an incredible poker room – it's all here, all the time! Dining : No adventure in Aztec, New Mexico is complete until you have experienced our cuisine. Unlike any other, it is a blend of flavors from Spanish and Native American cultures that has been perfected over the course of 400 years. At the center of it all is the New Mexican chile, in both red and green varieties, which is used in everything from enchiladas to ice cream! Experience and enjoy the wonderful flavors of Aztec, New Mexico. Farmington Hotels near Farmington We invite you to discover Farmington - the cultural, outdoor and family adventure basecamp of the Four Corners! Join us for a few days and explore our breathtaking landscapes, unique cultures and family friendly adventures. With an amazing mix of outdoor recreation opportunities, a thriving art scene, fascinating history and authentic cultural experiences Farmington, New Mexico offers plenty to see and do. Simply choose your journey and you will quickly discover Farmington is a community where outdoor lovers and active families thrive. Golf : Enjoy year round golfing in Aztec, New Mexico. You'll find some of the finest championship courses in the world right here. Government : There are so many extraordinary things about Aztec. Locals and visitors alike boast about this intimate, river-runs-through-it community where the buzz is about fabulous events, top-shelf recreation, enviable climate, rich history and eclectic, small-town pleasures. Aztec fulfills the recreationalist, entices the cultured, beckons the explorer, and makes peaceful the nomadic. It's a town of close-knit neighbors, of pioneer-strong family values, of love of the land. This is Aztec: Your Four Corners Playground Since 1100 A.D. Hospitals : Aztec Urgent Care provides immediate attention in the treatment of any non-life threatening illness or injury. Whether it is a school physical, immunization, sports injury, asthma complications or the flu, we accept walk-ins and treat a variety of conditions in the Aztec New Mexico area. Shopping : When shopping in Aztec, New Mexico and surrounding areas, you'll find inspired art, collectables, antiques and "Made in New Mexico" products you won't find anywhere else! University : San Juan College will be an innovative, dynamic learning college built on mutual respect, meaningful participation and a collective commitment to students, the community and the core values of a comprehensive community college. Welcome to our great hotel in Aztec New Mexico with affordable rates and cheap budget discount lodging. 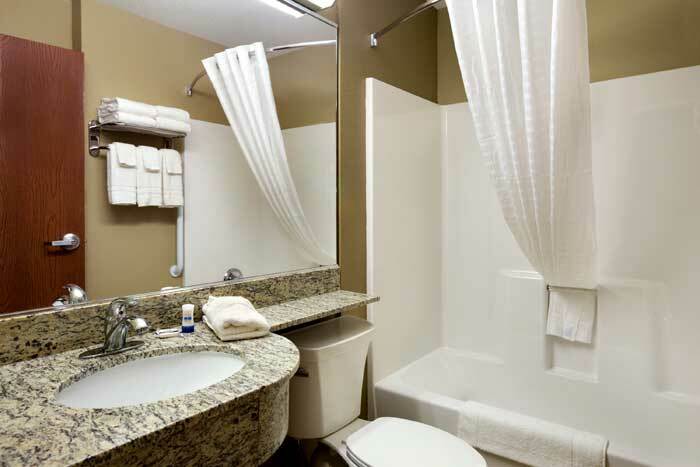 Presidential Inn & Suites welcomes you to our budget hotel in Aztec New Mexico. 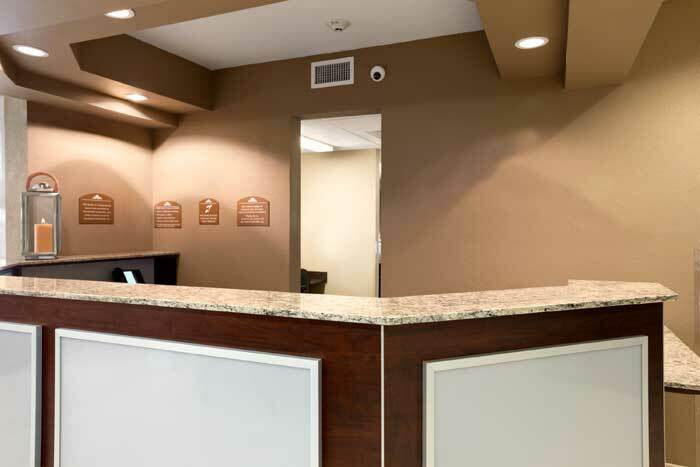 Presidential Inn & Suites will provide you excellent customer service with great amenities in comparison to all Hotels and Motels in Aztec New Mexico. Please visit us on your next stay in Aztec New Mexico and let us provide you with 4 star hispoitality for 2 to 3 star budget rates. Presidential Inn & Suites has been providing lodging and accommodations in Aztec New Mexico for sevral years and looks forward to providing our valued customer and business traveler with the best service in Aztec New Mexico for Hotelsand Motels in our local area. 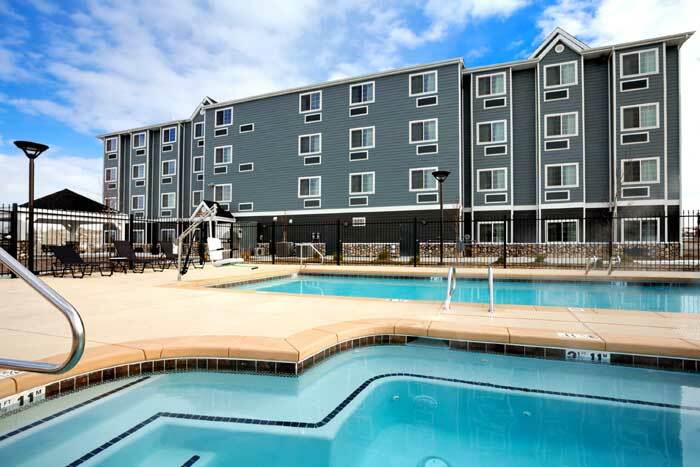 Presidential Inn & Suites Aztec New Mexico NM Hotels Lodging Accommodations Budget Affordable Motels Cheap Vacation Packages Specials Pet Friendly Weddings Business Travelers Business Meetings Extended Stay. 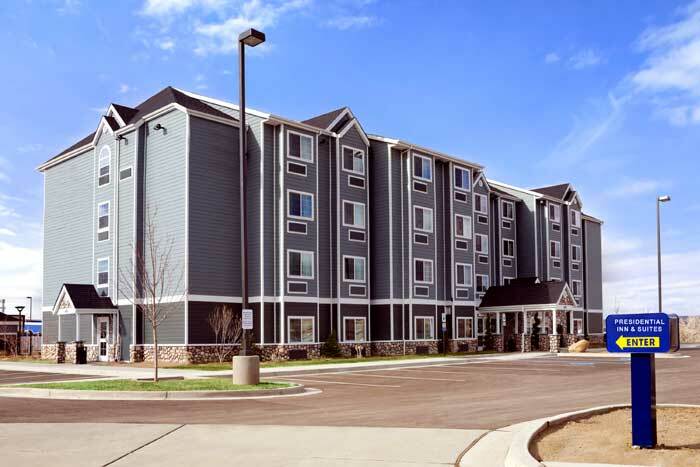 Presidential Inn & Suites is one of the finest Hotels and Motels in Aztec New Mexico Former Microtel Inn and Suites Best hotel near Farmington New Mexico. Where the Southwest, meets the Rockies.The best place to stay during your southwest adventure.